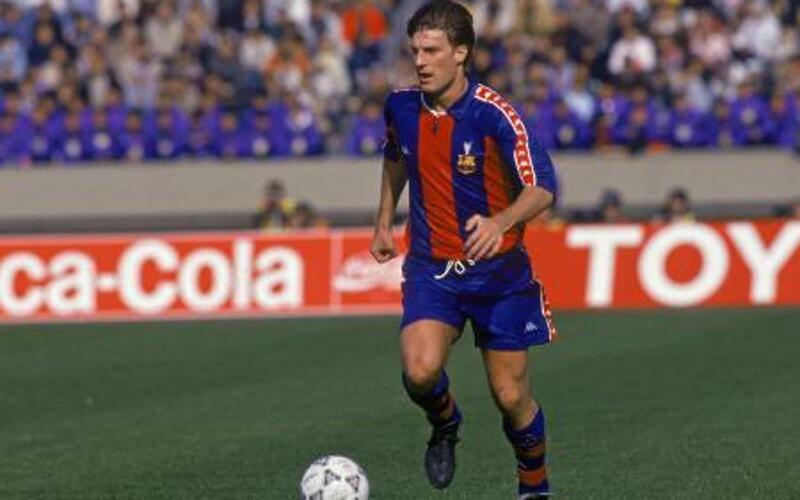 The Danish striker (Frederiksberg, 1964) arrived at Barça in 1989 from Juventus, where he had failed to impress. Everything changed when he came to the Camp Nou. He seemed able to effortlessly and seamlessly produce skilful play after skilful play. He was a master of the one on one and had amazing vision, providing sensational assists without so much having to lift an eyebrow. In his time, he was considered the finest passer of the ball in the world. The Barça fans were well aware of this, and for years there was a famous banner reading Enjoy Laudrup hanging in the Camp Nou terraces. He also scored some stunning goals, totalling 93 in 288 games for Barça. Along with that, he left the club having won a host of major titles.